How long have you been doing what you do and how did you become a wedding coordinator? Rose Petal Events was founded in 2003 out of the desire to assist newly engaged couples on the planning of every aspect of their wedding. 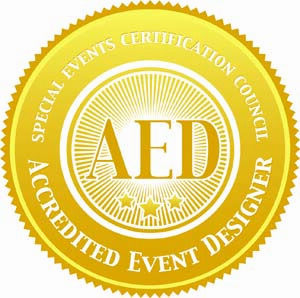 With many years of event planning skills, I continue to receive education about the wedding industry by attending seminars, conferences and association meetings. I started my career in 2003. I worked on my Bachelor’s with an emphasis in Sociology, so I know how to interact well with people. I understand the importance of making one’s event a special day. I know what it takes to plan the perfect celebration. My company is there to help you with all the details and planning. The Association of Certified Professional Wedding Consultants (ACPWC) has professionally trained me. This all sounds so wonderful, but expensive. Are we going to be able to afford this? We have 2 packages available that have so many benefits ro ouR services that I wouldn't possible list theom all hre, but I would love to tell you more during our consultation. Please view packages under our services. In order make it affordable, we offer payments on our custom packages. Normally a 30% deposit is required to hold the date..
Will I lose control of my wedding if you are planning it for me? Absolutely not, we orchestrate what you want us to do for you and listen to your needs throughout the entire process of the planning. Will you work with the vendors that I have already hired? Absolutely. We will make sure we are in contact with them throughout the entire planning process. All of our packages include vendor referrals and can pitch them to you when you book us. Do you accept credit cards and can we set up a payment plan? We do accept all major credit cards (transaction fee for every transaction), venmo, and paypal. We can set up a payment plan on our full service package. We carry a $1000-million liability policy. Do you take more then one wedding per day? We normally do not, but if we do, we have other staff that can coordinate our other smaller events. Will you bring assistance with you to my wedding? We normally bring one assistant for every 150 guest. This sounds like everything we've been looking for what happens next to start the process? The next step is for you call us e-mail us at rose@rosepetalbridlandevents.com to set up your get acquaintance consultation. We want to hear about your needs to see what packages works best for you and see if were a good match for our company. May we contact your former clients to see what it is to work with? Yes, as a matter of fact, you can also look at our testimonials page both on our website and facebook. We also can provide you other reference of other customers we have worked with in the past. We have a few more questions, can we call you to discuss further? Yes, in fact we highly encourage and require all of our clients to schedule a complimentary consultation, so we can get all your questions out of the way, answered and make sure we are a great fit for one another. After we have assessed your event needs, you will receive a proposal via e-mail.